Advertisers now have a secret weapon to boost their lead generation process. All hail the Communication Ad Extension.This feature, currently in Beta, helps an advertiser to get prospective leads directly from the ads, shortening the conventional lead generation process. Communication ad extension will enable advertisers to connect interested users with the businesses directly through the ads, without sending the users to landing pages. This extension appears under a standard text ad on the search engine results page which a user can fill out if interested. This version of the ad extension asks the users to enter their email address into the box and this information is sent in an email as a database to the advertiser. 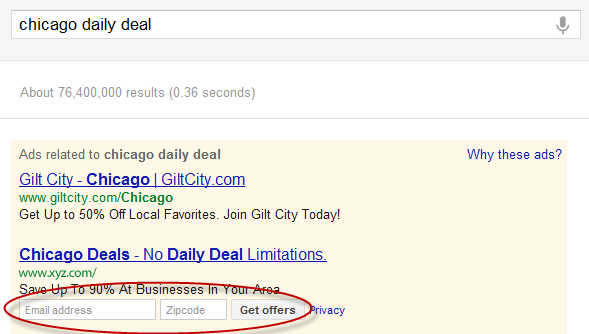 Advertisers can also ask for the zip code, this can be specified when enabling the extension. The newsletter version of the communication ad extension enables an advertiser to collect email addresses of users interested in subscribing to the newsletter of a given advertiser. Users can fill in their email addresses in the field provided under the ad. Again, Google will send an updated email list to the advertiser on a regular basis. This extension is currently in Beta. Advertisers will have to contact Google AdWords support and put in a request to get this extension activated in their AdWords account. The process is fairly simple. Once you put in the request, you will receive a privacy agreement from Google, acceptance of which will ensure that you will NOT use this vital user information unethically or irresponsibly. 5. The CID of the account. Once you send in these details, your account will be verified and the communication extension will be enabled in your account. The time period of activation may vary depending on the kind of business/ website. For an auto industry campaign, the Ad Extension was enabled within a week. 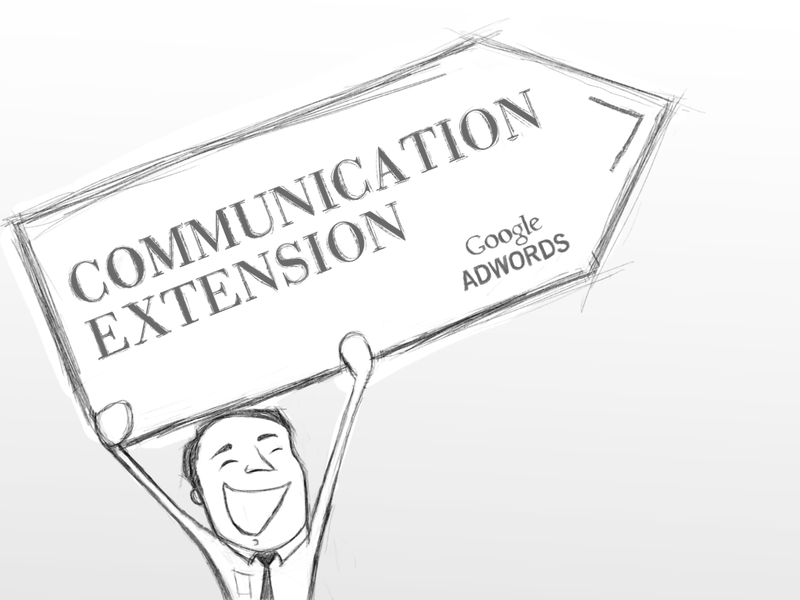 Enhances Ads – The Communication Ad Extension enhances your ad by increasing its visibility and the Click-through-rate. Prospect Leads – Users who fill in the information will be the interested users and hence are more likely to be converted into customers. Shortens the Lead Generation Process – Enabling this Ad Extension will shorten the lead generation funnel, decreasing the chances of abandonment. A Handy Database for Businesses – With an extensive email list, businesses can utilize this database for further interaction and marketing to these users. The Ad Extension is fairly simple to implement and is sure to power your paid search marketing efforts in a big way only if advertisers use it wisely and ethically.